French And English Translation: What Does Your Translator Need From You? French and English translation is a joint effort between translator and client. Although the bulk of the work will be done by the translator, there are still some things that the client will need to do and provide, to ensure a smooth process. What are they, and how can a client help? Amongst the many things that a client can do for their language translator is give the full details of the project to the translator as early in the process as possible. No one enjoys being asked to do work up against a tight deadline (and this urgent work tends to cost more too). The more time the translator French English is given, the more time they can spend on your translation to ensure it is perfect for your needs. They may need to familiarise themselves with the subject matter, for example. It is also important for a client to listen to any advice that the translator has on the work. They may be able to make suggestions about what to include or how to phrase things. You don’t have to act on their advice, of course, but it may be helpful. As long as you are open to input from the translator, this will help your relationship immensely. You will also need to remember that your translator may not be an expert in the exact subject you are asking them to translate. This could mean many hours or longer researching the topic, and that can mean a higher cost. 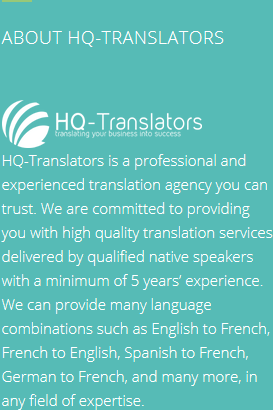 For risk-free, high quality French and English translation work, contact HQ-Translators. We offer a range of services to suit you. 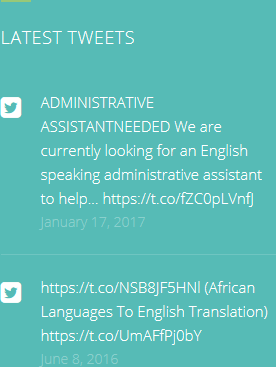 Check out our website at https://hq-translators.com for more information. 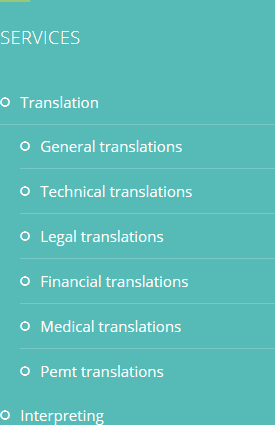 Get in touch on (00 237) 242 71 38 38, or (00 237) 693 21 69 27, or email infos@hq-translators.com.